released from the gallbladder after eating, aiding digestion. 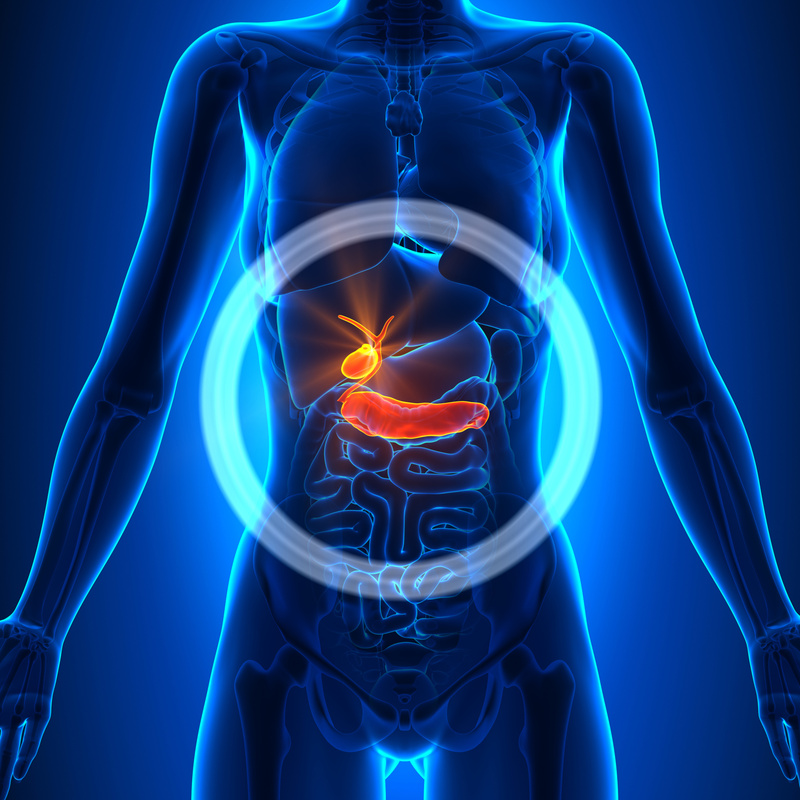 Bile travels through narrow tubular channels (bile ducts) into the small intestine. • Surgical removal of the gallbladder is the time-honored and safest treatment of gallbladder disease. • Rather than a five to seven-inch incision, the operation requires only four small openings in the abdomen. • Patients usually experience a faster recovery than open gallbladder surgery patients. In a small number of patients, the laparoscopic method cannot be performed. Factors that may increase the possibility of choosing or converting to the "open" procedure may include obesity, a history of prior abdominal surgery causing dense scar tissue, inability to visualize organs or bleeding problems during the operation. Complications of laparoscopic cholecystectomy are infrequent but include bleeding, infection, pneumonia, blood clots, or heart problems. Unintended injury to adjacent structures such as the common bile duct or small bowel may occur and may require another surgical procedure to repair it. Bile leakage into the abdomen from the tubular channels leading from the liver to the intestine may rarely occur.